If you’ve got a significant other, family member, or friend who’s an iPad owner and likely to enjoy a new iPad accessory as a holiday gift, I’ve got a few last minute suggestions for you. These will work just as well if you feel like treating yourself and your own iPad a little over the next couple of weeks. There are thousands and thousands of iPad accessories around these days – cases, covers, screen protectors, stands of all shapes and sizes, keyboards and keyboard cases, and on and on. So this is not intended as any sort of comprehensive guide to what’s out there. Instead it’s a very personal suggestion list. I’m fortunate in that because I run this site I get exposed to a wide range of iPad accessories and get an opportunity to check out and review those that strike me as most interesting. This is one of the very best companions for the iPad or iPad mini. 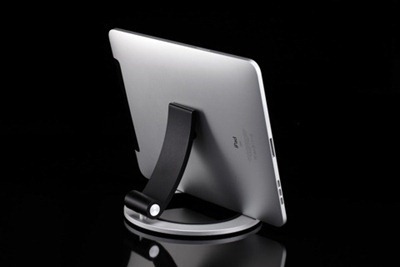 It attaches ‘like magic’ to the left side of the iPad and automatically wakes and sleeps the iPad when it is opened and closed. It’s very lightweight and comes in a nice range of colors. Smart Covers for the full-sized iPad (IPad 2,3, or 4) come in polyurethane and leather models. For the iPad mini, only the polyurethane models are available. 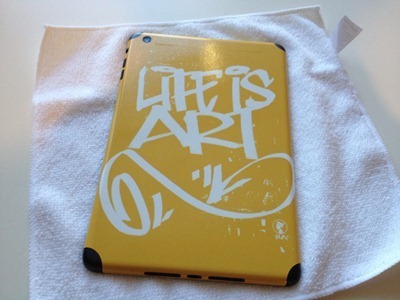 Price: $39 for the polyurethane smart covers, for iPad or iPad mini. $69 for the leather models. Apple also offers an iPad Smart Case for full coverage, but I have not found it to be anywhere near as impressive as the Smart Cover. 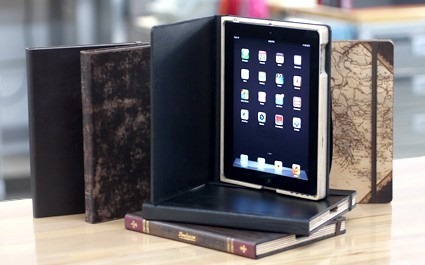 Portenzo: A great lineup of book-style and leather cases for full-size iPads and the iPad mini. The Alano (shown at the top of this post) and their Composition Book styles are two of my big favorites. Prices range from around $30 to $125. Oberon Design: I recently called one of their iPad mini cases The Most Beautiful iPad Case Ever– and lots of their cases are just flat-out stunning to look at. The quality of their leather and their craftsmanship is second to none. Prices from around $70 to $130. 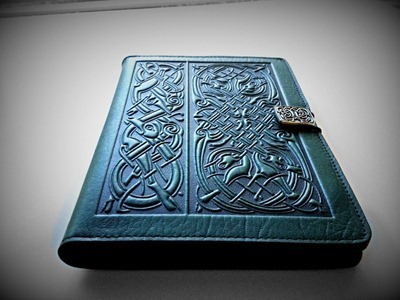 Pad & Quill: Handmade leather book cases in a variety of fun and professional looking styles. The Graduate Edition is one I’m particularly fond of. Prices from around $60 to $120. 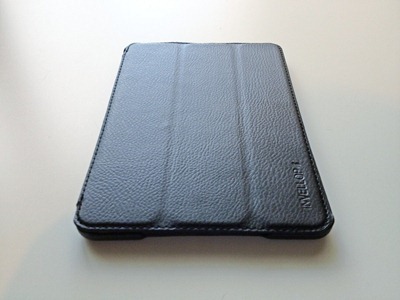 INVELLOP Leatherette Case Cover for the iPad mini: This is my favorite iPad mini case. It’s very light and adds minimal bulk to the iPad mini and fits it like a glove. The iPad min I can be inserted and removed quickly and easily. The leatherette material looks and feels great. It supports the iPad’s automatic sleep/wake feature and even uses magnets to keep the front cover in place when folded over the back. All that for under $15. Here’s a link for the black version on Amazon. 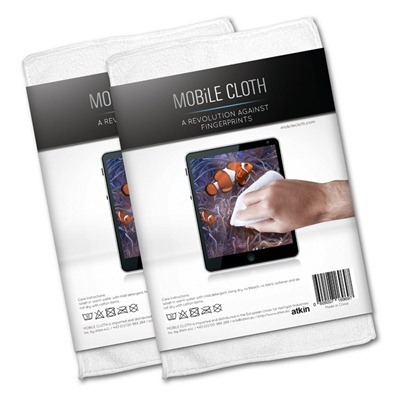 You can find these in other colors and also models for the larger iPads with a quick Amazon search. Moko Slim Fit: This one has many of the same virtues described above for the INVELLOP iPad mini case – and has models for the iPad mini and full-sized iPads. Great all-round iPad case for just over $20. Here’s an Amazon link for a black model for the iPad 3 and 4; again a quick Amazon search for Moko Slim Fit will lead you to other models and colors. Spigen SGP Sleeve for the new (2012) iPad: An excellent companion for the iPad 3. It’s good looking, very easy and quick to use with or without a smart cover on the iPad, and features a magnetic closure that gives it just a bit of an extra iPad-like feel. This one goes for $47.99. 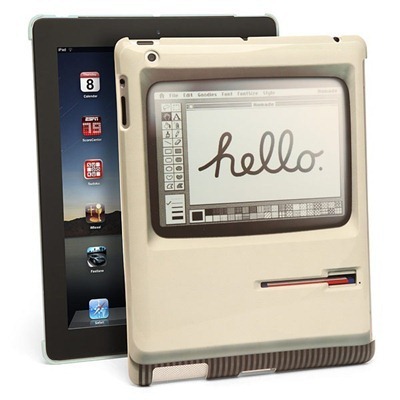 Padintosh iPad Cover: You have to love the tagline for this fun and striking case: ‘Party Like It’s 1984’. 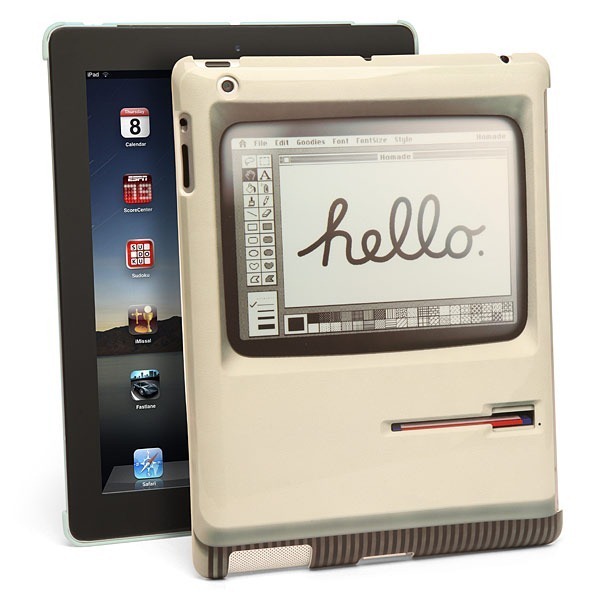 This is one for the iPad and Mac fan in your life. It fits the back of the new iPad perfectly and will always draw compliments and conversation when you have it on your iPad when you’re out and about. It’s priced at $24.99. Gelaskins: These are the thinnest of ultra-thin skins for the back of the iPad and iPad mini. They feature a broad range of fantastic and artistic designs, from famous works to design your own you’re bound to find something stylish and unique. They’re an ideal minimal companion for an iPad smart cover. I just posted earlier today about my new favorite new Gelaskin for my iPad mini. Prices go from $19.95 to $29.95. Apple TV: Apple’s set-top box is great for watching movies, shows and videos from iTunes, Netflix, Hulu Plus, and YouTube. It also offers a wealth of fun with content, apps, and games via AirPlay Mirroring from an iPad. For just $99 it brings a lot of options for entertainment to your HDTV, in tandem with the iPad. It goes for $99. There you go. That’s my hopefully helpful last minute suggestions list for iPad related gifts this holiday season. Let me know what you think, what some of your favorites are, and if you’re planning to gift any of these to yourself or a special iPad-owning someone.